This fantastic property is located approximately 1/2 mile from Taylorsville Lake State Park. It sits on over an acre lot of cleared and wooded land. The home features 3 bedrooms and 3 full baths. The large inviting living room with trey ceiling opens to an eat-in kitchen with loads of cabinets. The walkout lower level was professionally finished with plenty of room for entertaining. A large storage shed in the rear yard remains with property. Seller is offering a 1 YR Home Warranty. Directions:HWY 155 to left on 44 continue onto 248, right on Nature Trail, property on the left. SchoolsClick map icons below to view information for schools near 137 Nature Trail Mt Eden, KY 40046. 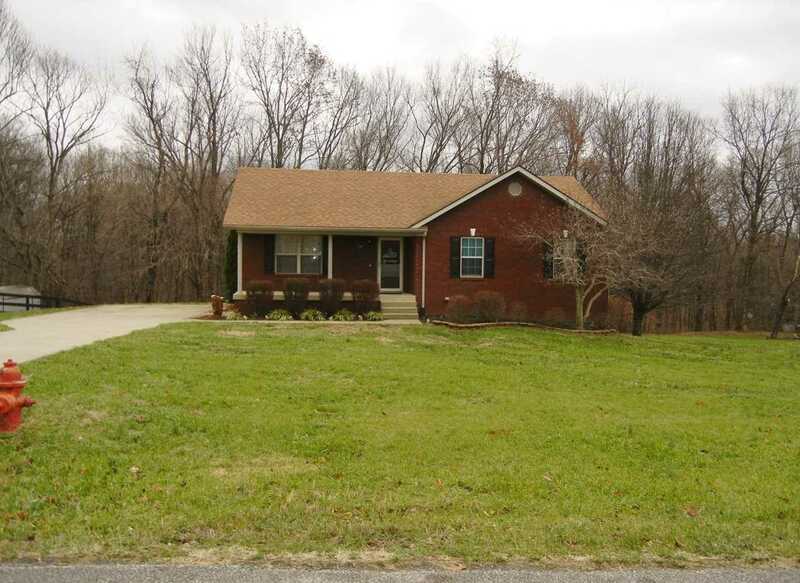 Real estate listing at 137 Nature Trail Mt Eden, KY 40046. Description: The real estate listing at 137 Nature Trail Mt Eden, KY 40046 with the MLS# 1520487 is currently listed for $179,500 and has been on the Mt Eden market for 140 days. You are viewing the GLAR MLS property details of the real estate listing at 137 Nature Trail Mt Eden, KY 40046, which is located in the Audubon Park Ii neighborhood, includes 3 bedrooms and 3 bathrooms, and has approximately 2347 sq.ft. of living area.